A dairy-free version of my favorite ice cream. 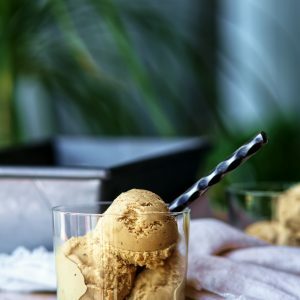 This dairy-free hojicha ice cream is coconutty, creamy, and just delicious. And don’t worry…it freezes well! I’m not in the very least embarrassed to share that when we were in Japan, I had ice cream at least once a day. Yes, at least…there were days when I got a little crazy. We never had hojicha gelato, but hojicha soft serve was just incredible. 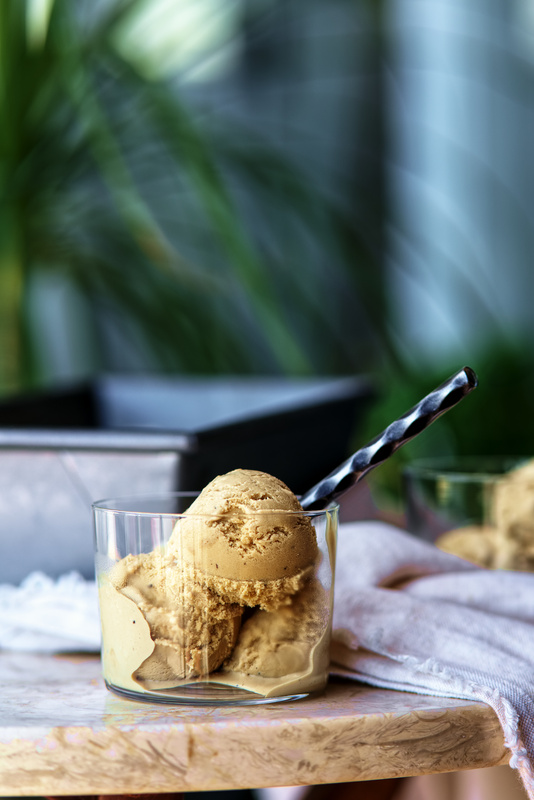 After some seriously delicious recipe testing, I am excited to offer you my fantastically wonderful hojicha gelato. This is the good stuff…full of that roasted green tea coffee-like flavor, without all the extra sugar to distract you. Read more about our Japan trip here. Whisk the yolks and sugar together until pale yellow. Warm the milk and vanilla until it just lightly simmers. Temper the egg/sugar mixture with the milk/vanilla mixture. Remove from heat. Add the hojicha leaves to the pan. Steep for 30 minutes with the lid on. Add the cream. Chill in the refrigerator overnight.